2017 was a substantial year for climate disasters. In fact, according to the National Oceanic and Atmospheric Administration (NOAA), last year was the most expensive year on record for natural climate disasters. Between 16 major disasters—including historical storms like Harvey and Irma and devastating wildfires in the west—the U.S. racked up over $300 billion in damage to the US, making it a costly year indeed. Let’s break out each of the 5 most expensive events of last year. Hurricane Harvey was the costliest event of 2017 and the second most expensive storm of all time after Hurricane Katrine. Because the storm stalled over Houston for a long period of time, dumping over 60 inches of rain, Harvey became one of the most notable flooding events on record. Over 30,000 people were displaced in Houston and nearby communities and over 200,000 homes and businesses were destroyed. In late September of 2017, Hurricane Maria ravaged the small island and U.S. territory of Puerto Rico, sparking a nationwide crisis. Because of the construction on the island and the concentration of population in a small area, Hurricane Maria was able to inflict a lot of damage in a short amount of time. Hurricane Irma also tops our chart as one of the most expensive storms of 2017—and of history. Irma also shattered records as the strongest storm on record to exist in the open Atlantic. This massive super storm tore across the Caribbean and made landfall on Florida in early September. 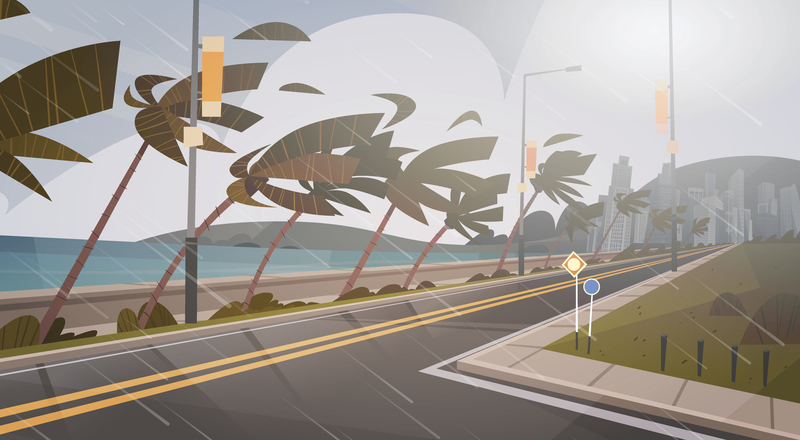 Early on, models predicted the storm would hit Miami directly, which would have resulted in a large rise in damage and cost, but the storm changed paths and weakened significantly, reducing its financial impact. These three significant storms caused 251 combined deaths and also join Hurricanes Katrina and Sandy as the five most costly U.S. hurricanes on record. The destructive wildfires that ravaged California and other parts of the western United States in 2017 also contributed to the high price tag on weather disasters in 2017. NOAA estimated that the cost of wildfires in 2017 was three times more than any other year recorded. Rounding out our list of the five costliest climate disasters of 2017 were the severe thunderstorms and hail storms across the country that sparked flooding, destructive freeze, hail, etc. Contact Marketing@icat.com to co-brand this graphic with your company’s logo and contact information to send to your clients.